These books present research carried out with colleagues in the Global Education Innovation Initiative. Teaching and Learning for the Twenty First Century describes how different nations have defined the core competencies and skills that young people will need in order to thrive in the twenty-first-century, and how those nations have fashioned educational policies and curricula meant to promote those skills. The book examines six countries—Chile, China, India, Mexico, Singapore, and the United States—exploring how each one defines, supports, and cultivates those competencies that students will need in order to succeed in the current century. The book is also available in Spanish, Portuguese and Chinese. Preparing Teachers to Educate Whole Students offers a wide-ranging comparative account of how innovative professional development programs in a number of countries guide and support teachers in their efforts to promote cognitive and socio-emotional growth in their students. The book focuses on holistic educational outcomes in an effort to better serve students in the twenty-first century and examines seven programs in all—in Chile, China, Colombia, India, Mexico, the United States, and Singapore. 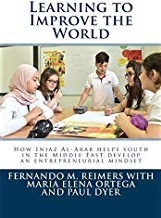 Learning to Improve the World presents the study of a program designed to cultivate an entrepreneurial mindset among high school students in the Middle East. The results of this study advance knowledge about how entrepreneurship education helps youth develop some of these competencies, preparing them to ‘Improve the world’. The study focuses on the impact of an entrepreneurship education program administered to high school students in six countries in the Middle East, a region with relatively high levels of youth unemployment. The program is relatively simple, and therefore scalable, it involves bringing to schools a person with business experience, who works with youth teaching them how to create a company. Formar Lectores y Ciudadanos examina en qué medida las escuelas en América Latina apoyan el desarrollo de estas competencias comunicativas de lectura y escritura, y con ello de qué forma permiten a los estudiantes desarrollar competencias para el ejercicio de la ciudadanía. A partir de un análisis de resultados de encuestas y de evaluaciones del desempeño estudiantil, de estudios de programas nacionales y de la síntesis de investigaciones sobre el desarrollo lector, los varios capítulos de este libro ofrecen una rica base para comprender y apreciar los logros de la escuela latinoamericana en la construcción de ciudadanía democrática así como las oportunidades para profundizar las capacidades de educar a todos para que puedan leer y escribir una auténtica y profunda cultura democrática cotidiana. 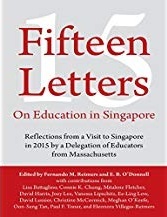 Fifteen Letters on Education in Singapore When a group of educators from Massachusetts traveled to Singapore to visit schools and talk to teachers, teacher educators, and school and system-level leaders in the fall of 2015, they were determined to learn how Singapore had built a high-performing education system. In this series of letters, members of the delegation identify the educational practices and policies that have enabled Singapore to become a prosperous knowledge economy. Many of their practices and successes could be transferred to the United States and elsewhere. Also available in Spanish. Empowering All Students at Scale The global movement to educate all children has produced one of the most remarkable silent revolutions experienced by humanity, integrating most children and youth into institutions invented to pass on to them what each generation considers valuable, and to help them develop the competencies to improve the world. Changes in a range of domains, from technology to politics, from the ways in which we communicate and associate, to the ways in which we produce goods and services, continue to expand our aspirations for how schools should prepare the young to invent the future. There is much innovation worldwide responding to this aspiration, and the need to bring such innovations to scale so they benefit all children. The contributors to this book explain what the opportunities and challenges are to scale educational change to make schools relevant to the demands of our times. Based on a Think Tank convened by the Global Education Innovation Initiative at Harvard University, this book aims to stimulate broad social dialogue on how to support students and teachers to live fulfilling lives in the volatility and complexity of our times. Also in Spanish and Portuguese.